Yang Chen, Huilin Kueh, Tullimilli Y. Gopalakrishna, Shaoqiang Dong, Yi Han and Chunyan Chi* "Sulfur-Containing, Quinodimethane Embedded Acene Analogue with Nine Consecutively Fused Six-Membered Rings" Org. Lett. 2019, http://dx.doi.org/10.1021/acs.orglett.9b00805. Shaoqiang Dong, Tullimilli Y. Gopalakrishna, Yi Han, Hoa Phan, Tao Tao, Yong Ni, Gang Liu, Chunyan Chi* "Extended Bis(anthraoxa)quinodimethanes with Nine and Ten Consecutively Fused Six-membered Rings: Neutral Diradicaloids and Charged Diradical Dianions/Dications" J. Am. Chem. Soc. 2019, 141, 62-66. Qing Jiang, Tao Tao, Hoa Phan, Yi Han, Tullimilli Y. Gopalakrishna, Tun Seng Herng, Guangwu Li, Liu Yuan, Jun Ding, and Chunyan Chi* "Diazuleno-s-indacene Diradicaloids: Syntheses, Properties, and Local (anti)Aromaticity Shift from Neutral to Dicationic State" Angew. Chem. Int. Ed. 2018, 57, 16737-16741. 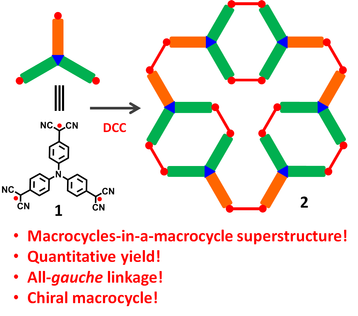 Liu Yuan, Yi Han, Tao Tao, Hoa Phan, and Chunyan Chi* "Formation of a Macrocycles-in-a-Macrocycle Superstructure with All-gauche Conformation by Reversible Radical Association" Angew. Chem. Int. Ed. 2018, 57, 9023-9027. 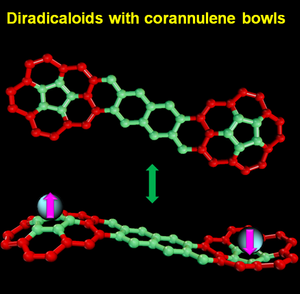 Qing Wang, Gabriel Lim, Tullimilli Y. Gopalakrishna, Yi Han and Chunyan Chi* "Anthracene-fused dibenzo[def,mno]chrysenes with a helical structure" Asian J Org. Chem. 2018, 7, 1864-1871. 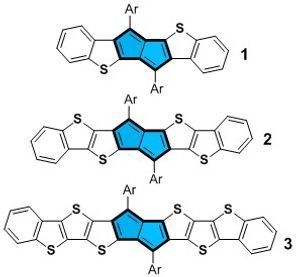 Qing Wang, Tullimilli Y. Gopalakrishna, Hoa Phan, Tun Seng Herng, Shaoqiang Dong, Jun Ding, Chunyan Chi* " Cyclopenta Ring Fused Bisanthene and Its Charged Species with Open-shell Singlet Diradical Character and Global Aromaticity/Anti-Aromaticity" Angew. Chem. Int. Ed., 2017, 56, 11415-11419. Xueliang Shi, Tullimilli Y. Gopalakrishna, Qing Wang, and Chunyan Chi* " Non-classical S-Heteroacenes with o-Quinoidal Conjugation and Open-shell Diradical Character" Chem. Eur. J. 2017, 23, 8525-8531. Xueliang Shi, Estefanía Quintero, Sangsu Lee, Linzhi Jing, Tun Seng Herng, Bin Zheng, Kuo-Wei Huang, Juan T. López Navarrete, Jun Ding,* Dongho Kim,* Juan Casado,* Chunyan Chi* "Benzo-thia-fused [n]Thienoacene-quinodimethanes with Small to Moderate Diradical Characters: The Role of Pro-aromaticity versus Anti-aromaticity" Chem. Sci. 2016, 7, 3036-3046. 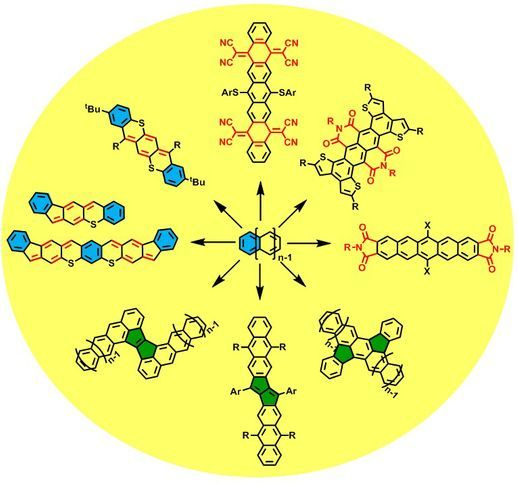 Gaole Dai,* Jingjing Chang, Linzhi Jing, Chunyan Chi*, "Diacenopentalene dicarboximides as new n-type organic semiconductors for field effect transistors", J. Mater. Chem. C, 2016, 4, 8758-8764. Guiying He, Jinjun Shao, Yang Li, Jiangpu Hu, Huaning Zhu, Xian Wang, Qianjin Guo, Chunyan Chi,* and Andong Xia,* "Photophysical Properties of Octupolar Triazatruxene-Based Chromophores", Phys. Chem. Chem. Phys. 2016, 18, 6789-6798. Arun Naibi Lakshminarayana, Chunyan Chi* “N-Containing Polycyclic Heteroacenes”, Chapter 9 in the book “Polycyclic Arenes and Heteroarenes”, Willey-VCH, 2016. 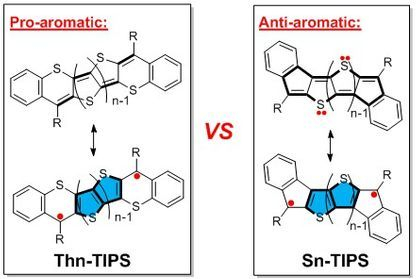 Xueliang Shi, Sangsu Lee, Minjung Son, Bin Zheng, Jingjing Chang, Linzhi Jing, Kuo-Wei Huang, Dongho Kim*, Chunyan Chi* “Pro-aromatic bisphenaleno-thieno[3,2-b]thiophene versus anti-aromatic bisindenothieno[3,2-b]thiophene: different ground-state properties and applications in field-effect transistors” Chem. Commun. 2015, 51, 13178-13180. 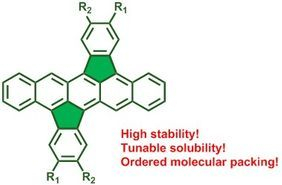 Arun Naibi Lakshminarayana, Jingjing Chang, Jie Luo, Bin Zheng, Kuo-Wei Huang and Chunyan Chi* "Bisindeno-annulated pentacenes with exceptionally high photo-stability and ordered molecular packing: simple synthesis by a regioselective Scholl reaction" Chem. Commun. 2015, 51, 3604-3607. Gaole Dai, Jingjing Chang, Wenhua Zhang, Shiqiang Bai, Kuo-Wei Huang, Jianwei Xu, and Chunyan Chi*, "Dianthraceno[a,e]pentalenes: Synthesis, Crystallographic Structures and Applications for Organic Field-Effect Transistors" Chem. Commun. 2015, 51, 503-506. Gaole Dai, Jingjing Chang, Xueliang Shi, Wenhua Zhang, Bin Zheng, Kuo-Wei Huang, and Chunyan Chi* “Thienoacene-fused Pentalenes: Syntheses, Structures, Physical Properties and Applications for Organic Field Effect Transistors” Chem. Eur. J. 2015, 21, 2019-2028. Zebing Zeng, Xueliang Shi, Chunyan Chi, Juan T. Lo´pez Navarrete, Juan Casado*, Jishan Wu* “Pro-aromatic and anti-aromatic p-conjugated molecules: an irresistible wish to be diradicals” Chem. Sco. Rev. 2015, 44, 6578-6596. Qun Ye, Jingjing Chang, Xueliang Shi, Gaole Dai, Wenhua Zhang, Kuo-Wei Huang, Chunyan Chi*, "Stable 7,14-Disubstituted-5,12-Dithiapentacenes with Quinoidal Conjugation" Org. Lett. 2014, 16, 3966-3969. Jinjun Shao, Jingjing Chang, Gaole Dai, Chunyan Chi*, “Pyromellitic Diimide-Based Copolymers for Ambipolar Field-Effect Transistors: Synthesis, Characterization, and Device Applications”, J. Polym. Sci. Part A: Polym Chem., 2014, 52, 2454-2464. Jinjun Shao, Jingjing Chang, Chunyan Chi*, "Solution Processable n-Type Semiconductors Based on Unsymmetrical Naphthalene Imides: Synthesis, Characterization, and Applications in Field effect Transistors", Chem. Asian J., 2014, 9, 253-260. Qun Ye, Wei Teng Neo, Ching Mui Cho, Shuo Wang Yang, Tingting Lin, Hui Zhou, Hong Yan, Xuehong Lu, Chunyan Chi, and Jianwei Xu*, "Synthesis of Ultrahighly Electron-Deficient Pyrrolo[3,4‑d]pyridazine-5,7-dione by Inverse Electron Demand Diels−Alder Reaction and Its Application as Electrochromic Materials", Org. Lett., 2014, 16, 6386-6389. Y. Li, K.-W. Huang, Z. 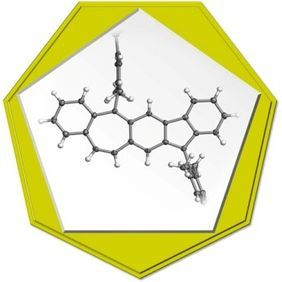 Sun, R. D. Webster, Z. Zeng, W. Zeng, C. Chi, K. Furukawa*, J. Wu*, "A kinetically blocked 1,14:11,12-dibenzopentacene: a persistent triplet diradical of non-KekulÃ© polycyclic benzenoid hydrocarbons", Chem. Sci. 2014, 5, 1908-1914. L. Mao, Y. Li, C. Chi, H. S. Z. Chan*, J. Wu*, "Conjugated polyfluorene imidazolium ionic liquids intercalated reduced graphene oxide for high performance supercapacitor electrodes Nano Energy", Nano Energy, 2014, 6C, 119-128. J. Luo, M. Xu, R. Li, K. Huang, C. Jiang, Q. Qi, W. Zeng, J. Zhang, C. Chi, P. Wang*, J. Wu*, "N-Annulatedperylene as an efficient electron donor for porphyrin-based dyes: enhanced light-harvesting ability and high-efficiency Co(II/III)-based dye-sensitized solar cells", J. Am. Chem. Soc., 2014, 136, 265-272. J. Chang, K. L. Chang, C. Chi, J. Zhang*, J. Wu*, "Water Induced Zinc Oxide Thin Film Formation and its Transistor Performance", J. Mater. Chem. C. 2014, 2, 5397-5403. Qun Ye, Zhe Sun, Chunyan Chi*, Jishan Wu*, “Linking theory to reactivity and properties of nanographenes”, Chapter 19 in the book “Graphene Chemistry: Theoretical Perspectives”, Willey-VCH, 2013, Chapter 17. Chenhua Tong, Jingjing Chang, Jun Min Tan, Gaole Dai, Kuo-Wei Huang, Hardy Sze On Chan* and Chunyan Chi* “Bisacenaphthopyrazinoquinoxaline derivatives: synthesis, physical properties and applications as semiconductors for n-channel field effect transistors” Org. Biomol. Chem., 2013, 11, 5683-5691. Qun Ye, Jing-Jing Chang, Kuo-Wei Huang, Gaole Dai and Chunyan Chi*, “TCNQ-embedded heptacene and nonacene: synthesis, characterization and physical properties”, Org. Biomol. Chem., 2013, 11, 6285-6291. 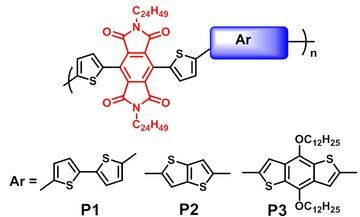 Xueliang Shi, Jingjing Chang and Chunyan Chi*, “Solution-processable n-type and ambipolar semiconductors based on a fused cyclopentadithiophenebis(dicyanovinylene) core” Chem. Commun. 2013, 49,7135-7137. 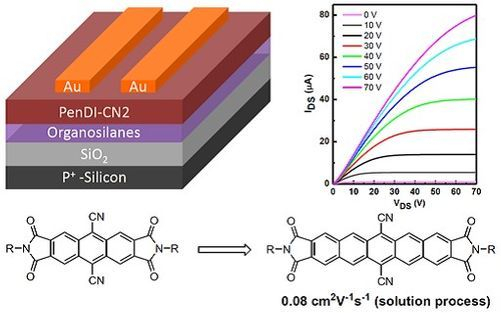 Jingjing Chang, Jinjun Shao, Jie Zhang, Jishan Wu, Chunyan Chi*, “A phthalimide-fused naphthalene dimide with high electron affinity for high performance n-channel field effect transistor”, RSC Advances 2013, 3, 6775-6778. 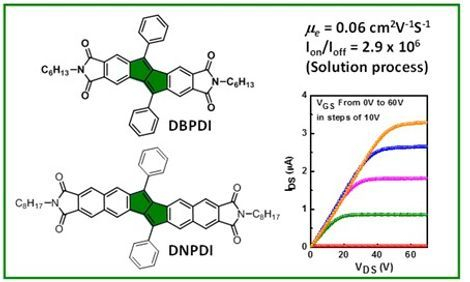 Qun Ye, Jingjing Chang, Kuo-Wei Huang, Xueliang Shi, Jishan Wu, Chunyan Chi*, “Cyanated diaza-tetracene diimides with ultra-high electron affinity for n-channel field effect transistors”, Org. Lett. 2013, 15, 1194-1197. 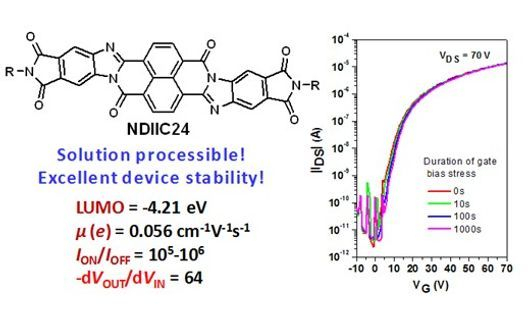 Jingjing Chang, Hemi Qu, Zi-En Ooi, Jie Zhang, Zhikuan Chen, Jishan Wu, Chunyan Chi*, “6,13-Dicyano pentacene-2,3:9,10-bis(dicarboximide) for solution-processed air-stable n-channel field effect transistors and complementary circuit”, J. Mater. Chem. C 2013, 1, 456-462. W. Zeng, M. Ishida, S. Lee, Y. Sung, Z. Zeng, Y. Ni, C. Chi, D. Kim*, J. Wu*, "A p-quinodimethane bridged porphyrin dimer", Chem. Eur. J., 2013, 19, 16814-16824. J. Chang, C. Chi, J. Zhang*, J. Wu*, "Controlled growth of large-area high-performance small-Molecule organic single crystalline transistors by slot-die coating using a mixed solvent system", Adv. Mater., 2013, 25, 6442. Z. Zeng, M. Ishida, J. Zafra, X. Zhu, Y. Sung, N. Bao, R.Webster, B. Lee, R. Li, W. Zeng, Y. Li, C. Chi, J. Lopez Navarrete, J. Ding*, J. Casado*, D. Kim*, J. Wu*, "Pushing extended p-quinodimethanes to the limit: stable tetracyano- oligo(N-annulated perylene)quinodimethanes with tunable ground states", J. Am. Chem. Soc., 2013, 135, 6363. Z. Sun, S. Lee, K. Park, X. Zhu, W. Zhang, B. Zheng, P. Hu, Z. Zeng, S. Das, Y. Li, C. Chi, R. Li, K. Huang*, J. Ding*, D. Kim*, J. Wu*, "Dibenzoheptazethrene isomers with different biradical characters: an exercise of Clar's aromatic sextet rule in singlet biradicaloids", J. Am. Chem. Soc., 2013, 135, 18229-18236. Z. Zeng, S. Lee, J. Zafra, M. Ishida, Z. Zhu, Z. 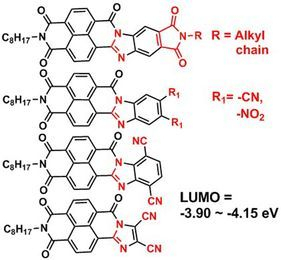 Sun, Y. Ni, R. Webster, R. Li, J. Lopez Navarrete, C. Chi*, J. Ding*, J. Casado*, D. Kim*, J. Wu*, "Tetracyano- quaterrylene and hexarylenequinodimethanes with tunable ground states and strong near-infrared absorption", Angew. Chem. Int. Ed., 2013, 52, 8561 (selected as "Hot Paper"). 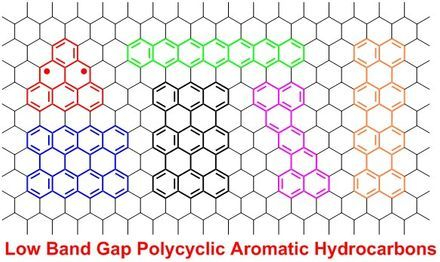 Zhe Sun, Qun Ye, Chunyan Chi*, Jishan Wu*, “Low band gap polycyclic hydrocarbons: from closed-shell near infrared dyes and semiconductors to open-shell radicals”, Chem. Soc. Rev., 2012, 41, 7857-7889. Jingjing Chang, Qun Ye, Kuo-Wei Huang, Jie Zhang, Zhi-Kuan Chen, Jishan Wu, Chunyan Chi*, “Stepwise Cyanation of Naphthalene Diimide for n-Channel Field-Effect Transistors”, Org. Lett., 2012, 14, 2964-2967. Jinjun Shao, Jingjing Chang, Chunyan Chi*, “Linear and star-shaped pyrazine-containing acene dicarboximides with high electron-affinity”, Org. Biomol. Chem., 2012, 10, 7045-7052. Gaole Dai, Jingjing Chang, Jishan Wu, Chunyan Chi*, “Dithieno-naphthalimide based copolymers for air-stable field effect transistors: synthesis, characterization and device performance”, J. Mater. Chem. 2012, 22, 21201-21209. Qun Ye, Jingjing Chang, Jinjun Shao, Chunyan Chi*, “Large Core-expanded Triazatruxene-based Discotic Liquid Crystals: Synthesis, Characterization and Physical Properties”, J. Mater. Chem. 2012, 22, 13180-13186. Di Wu, Hua Zhang, Jinhua Liang, Haojie Ge, Chunyan Chi, Jishan Wu, Sheng Hua Liu*, Jun Yin*, “Functionalized Coronenes: Synthesis, Solid Structure, and Properties” J. Org. Chem. 2012, 77, 11319-11324. Qun Ye, Jingjing Chang, Kuo-Wei Huang, Chunyan Chi*, “Thiophene-fused Tetracene Diimide with Low Band Gap and Ambipolar Behavior”, Org. Lett. 2011, 13, 5960-5963. 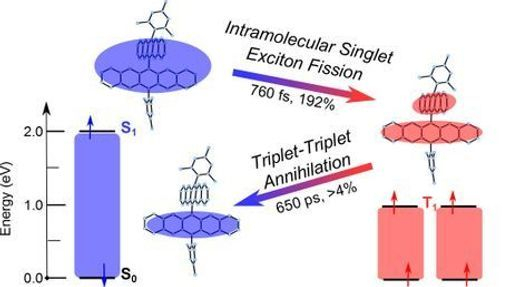 Jinjun Shao, Zhenping Guan, Yongli Yan, Chongjun Jiao, Qing-Hua Xu*, Chunyan Chi*, “Synthesis and Characterizations of Star-shaped Octupolar Triazatruxenes-Based Two-photon Absorption Chromophores” J. Org. Chem., 2011, 76, 780-790. 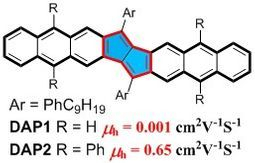 Chongjun Jiao, Kuo-Wei Huang, Chunyan Chi, Jishan Wu*, “Doubly and Triply Linked Porphyrin-Perylene Monoimides as Near IR Dyes with Large Dipole Moments and High Photostability”, J. Org. Chem. 2011, 76, 661-664. Qun Ye, Chunyan Chi* “Conjugated Polymers for Organic Solar Cells”, invited book chapter for the book “Solar Cells/Book 2”, ISBN: 978-953-307-1342-1, InTech Publisher, 2011, 453-474. Jing Luo, Kuo-Wei Huang, Hemi Qu, Xiaojie Zhang, Lijun Zhu, Hardy Sze On Chan, Chunyan Chi* “H-shaped Oligothiophenes with Low Band Gaps and Amphoteric Redox Properties” Org. Lett., 2010, 12, 5660-5663. Hemi Qu, Chunyan Chi* “A Stable Heptacene Derivative Substituted with Electron-deficient Trifluoromethylphenyl and Triisopropylsilylethynyl Groups” Org. Lett., 2010. 12, 3360-3363. Hemi Qu, Chunyan Chi*, invited review article, “Synthetic Chemistry of Acenes and Heteroacenes”, Curr. Org. Chem., 2010, 14, 2070-2108. Jing Luo, Baomin Zhao, Hardy Sze On Chan, Chunyan Chi*, “Synthesis, Physical Properties and Self-assembly of Star-shaped Oligothiophenes-Substituted and Fused Triphenylenes” J. Mater. Chem., 2010, 20, 1932-1941. Baomin Zhao, Bo Liu, Rui Qi Png, Kai Zhang, Kheng Aik Lim, Jing Luo, Jinjun Shao, Peter K. H. Ho, Chunyan Chi*, and Jishan Wu* “New Discotic Mesogens Based on Triphenylene-fused Triazatruxenes: Synthesis, Physical Properties, and Self-assembly” Chem. Mater., 2010, 22, 435-449. 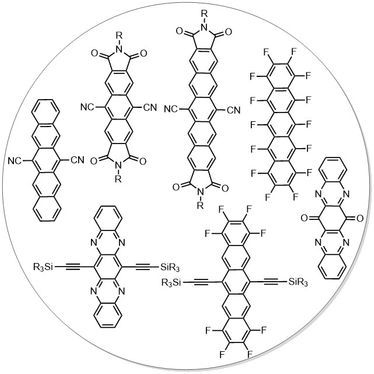 Jing Luo, Jinqiang Jiang, Chunyan Chi, Xiaoya Liu, "Research progress of fluorescent chemical sensor" Journal of Functional Polymers 2010, 23, 413-422. Xiaojie Zhang, Xiaoxia Jiang, Jing Luo, Chunyan Chi, Hongzhen Chen*, Jishan Wu*, “A Cruciform 6, 6-Dipentacenyl: Synthesis, Solid-State Packing and Applications in Thin-Film Transistors” Chem. Eur. J., 2010, 16, 464-468. 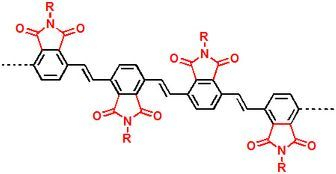 Xiaojie Zhang; Xiaoxia Jiang, Kai Zhang, Lu, Mao, Jing, Luo, Chunyan Chi, Hardy Sze On Chan, Jishan Wu*, “Synthesis, Self-Assembly, and Charge Transporting Property of Contorted Tetrabenzocoronenes”, J. Org. Chem. 2010, 75, 8069-8077. Xiaojie Zhang, Jinling Li, Hemi Qu, Chunyan Chi, Jishan Wu*, “Fused Bispentacenequinone and Its Unexpected Michael Addition”, Org. Lett. 2010, 12, 3946-3949. Jun Yin, Kai Zhang, Chongjun Jiao, Jinling Li, Chunyan Chi, Jishan Wu*, “Synthesis of functionalized tetracene dicarboxylic imides” Tetrahedron Letters, 2010, 51, 6313-6315. Jun Yin, Chunyan Chi, Jishan Wu*, “Efficient synthesis of a heterorotaxane by a "threading-stoppering-followed-by-clipping" approach” Org. Biomol. Chem. 2010, 8, 2594-2599. Kai Zhang, Vineet, Dwivedi, Chunyan Chi, Jishan Wu*, “Graphene oxide/ferric hydroxide composites for efficient arsenate removal from drinking water”, Journal of Hazardous Materials, 2010, 182, Issue: 1-3, 162-168. Jinling Li, Kai Zhang, Xiaojie Zhang, Kuo-Wei Huang, Chunyan Chi, Jishan Wu*, “Meso-substituted Bisanthenes as Soluble and Stable near-infrared Dyes“ J. Org. Chem. 2010, 75, 856-863. Jing Luo, Baomin Zhao, Jinjun Shao, Kheng Aik Lim, Hardy Sze On Chan, Chunyan Chi*, “Room-temperature Discotic Liquid Crystals Based on Oligothiophenes – Attached and Fused Triazatruxenes” J. Mater. Chem., 2009, 19, 8327-8334. Jing Luo, Hemi Qu, Jun Yin, Xiaojie Zhang, Kuo-Wei Huang, Chunyan Chi*, “-Conjugated Oligothiophene-anthracene Co-oligomers: Synthesis, Physical Properties, and Self-assembly.” J. Mater. Chem., 2009, 19, 8202-8211. Jun Yin, Hemi Qu, Kai Zhang, Jing Luo, Xiaojie Zhang, Chunyan Chi*, Jishan Wu*, “Electron-deficient Triphenylene and Trinaphthylene Carboximides” Org. Lett., 2009, 11, 3028-3031. Jun Yin, Chunyan Chi, Jishan Wu*, “Efficient Preparation of Separable Pseudo[n]rotaxanes by Selective Threading of Oligoalkylammonium Salts with Cucurbituril”, Chem. Eur. J. 2009, 15, 6050-6057. Chongjun Jiao, Kuo-Wei Huang, Jing Luo, Kai Zhang, Chunyan Chi, Jishan Wu*, “Bis-N-Annulated Quaterrylenebis(dicarboximide)s As A New Soluble And Stable NIR Dye“ Org. Lett., 2009, 11, 4508-4511. Kai Zhang, Kuo-Wei Huang, Jinling Li, Jing Luo, Chunyan Chi, Jishan Wu* “A Soluble and Stable Quinoidal Bisanthene with NIR Absorption and Amphoteric Redox Behavior” Org. Lett., 2009, 11, 4854-4857. Junhong Yao, Chunyan Chi, Jishan Wu*, Kian Ping Loh*, “Bisanthracene Bis(dicarboxylic imide)s as Soluble and Stable NIR Dyes” Chem. Eur. J., 2009, 15, 9299-9302. Chunyan Chi, Arkadius Chworos, Jinping Zhang, Alexander Mikhailovsky and Guillermo C. Bazan*, “Anatomy and Growth Characteristics of Conjugated Polyelectrolyte/DNA Aggregates.” Adv. Funct. Mater. 2008, 18, 3606-3612. Inside Front Cover in issue 22, November 24, 2008. Gerhard Wegner*, Stanislav Baluschev, Frederic Laquai, Chunyan Chi, “Managing Photoexcited States in Conjugated Polymers” Macromol. Symp. 2008, 268, 1-8. Chunyan Chi, Alexander Mikhailovsky and Guillermo C. Bazan*, “Design of Cationic Conjugated Polyelectrolytes for DNA Concentration Determination” J. Am. Chem. Soc. 2007, 129, 11134-11145. Chunyan Chi, Chan Im, Gerhard Wegner* “Lifetime Determination of Fluorescence and Phosphorescence of a Series of Oligofluorenes” J. Chem. Phys., 2006, 124, 024907. E. Somma, B. Loppinet, Chunyan Chi, G. Fytas*, G. Wegner* “Static and Dynamic Solution Properties of Monodisperse Oligofluorenes” Phys. Chem. Chem. Phys., 2006, 8, 2773-2778. E. Somma, Chunyan Chi, B. Loppinet, J. Grinshtein, R. Graf, G. Fytas*, H. W. Spiess, G. Wegner* “ Orientation Dynamics in Isotropic Phases of Model Oligofluorenes: Glass or Liquid crystal” J. Chem. Phys., 2006, 124, 204910. Chunyan Chi, Chan Im, Volker Enkelmann, Andreas Ziegler, Günter Lieser, Gerhard Wegner* “Monodisperse Oligofluorenes with Keto Defect as Models to Investigate the Origin of Green Emission From Polyfluorenes: Syntheis, Self-assembly, and Photophysical Properties.” Chem. Eur. J., 2005, 11, 6833-6845. Chunyan Chi, Gerhard Wegner* “Chain-Length Dependence of the Electrochemical Properties of Conjugated Oligofluorenes.” Macromol. Rapid Commun., 2005, 26, 1532-1537. Chunyan Chi, Günter Lieser, Volker Enkelmann, Gerhard Wegner* “Packing and Uniaxial Alignment of Liquid Crystalline Oligofluorenes” Macromol. Chem. Phys., 2005, 206, 1597-1609. P. Papadopoulos, G. Floudas*, Chunyan Chi, G. Wegner* “Molecular Dynamics of Oligofluorenes: A Dielectric Spectroscopy Investigation.” J. Chem. Phys. 2004, 120, 2368-2374. Menglin Chen, Chunyan Chi, Xianhong Wang*, Xiaojiang Zhao, Ji Li, Fosong Wang “Synthesis of Amino-centered, Nitro-capped Phenylacetylene-monodendrons” Chem. J. Chin. Uni. 2004, 25, 1359-1362. Chunyan Chi, Jishan Wu, Xianhong Wang*, Xiaojiang Zhao, Ji Li and Fosong Wang. “A New Solid-Supported Iterative Divergent/Convergent Strategy for the Synthesis of Dendrimers.” Tetrahedron Lett. 2001, 42, 2181-2184. Chunyan Chi, Jishan Wu, Xianhong Wang*, Xiaojiang Zhao, Ji Li and Fosong Wang. “Redoxactive Phenylacetylene Monodendrons: Rapid Solid-Phase Synthesis and Their Electrochemical Properties.” Macromolecules 2001, 34, 3812-3814. Jishan Wu, Chunyan Chi, Xianhong Wang*, Xiaojiang Zhao, Ji Li, and Fosong Wang “Rapid Electron Propagation Through Molecular Wire Monolayers Sandwiched Between Two Gold Electrodes.” Synth. Met. 2001, 121, 1269-1270. Jishan Wu, Chunyan Chi, Xianhong Wang*, Xiaojiang Zhao, Ji Li, and Fosong Wang “One-Pot Procedure to Prepare Ethynylferrocene and Iodoethynylferrocene.” Chin. Chem. Lett. 2001, 12, 387-390. Jishan Wu, Chunyan Chi, Xianhong Wang*, Xiaojiang Zhao, Ji Li, and Fosong Wang “One-Pot Procedure to Prepare S-protected 4-iodothiophenol.” Synth. Commun. 2000, 30, 4293-4298.